I admit that when the cherry red, classic convertible first pulled up, I wasn’t exactly overjoyed. Let me say that my time in Havana was amazing and I wouldn’t have changed a moment of it. (Well, that’s not entirely true… I would have changed the moment the “N” key broke off my laptop’s keyboard. Do you know what it’s like writing about the Minnesota Orchestra in Havana with an intermittent N key? “The concerts were incredible fantastic sensational good.”). But the pace was exhausting as well as exhilarating, and with deadlines looming I just wanted to get back to base camp as efficiently as possible. To speed my return, I hailed a cab. And when the first cab to respond ended up being one of Havana’s famed classic cars, I had a moment of concern. My first thought was to wonder if the driver was going to try and sell me on an impromptu driving tour of the city, which at that particular moment I certainly did not need. 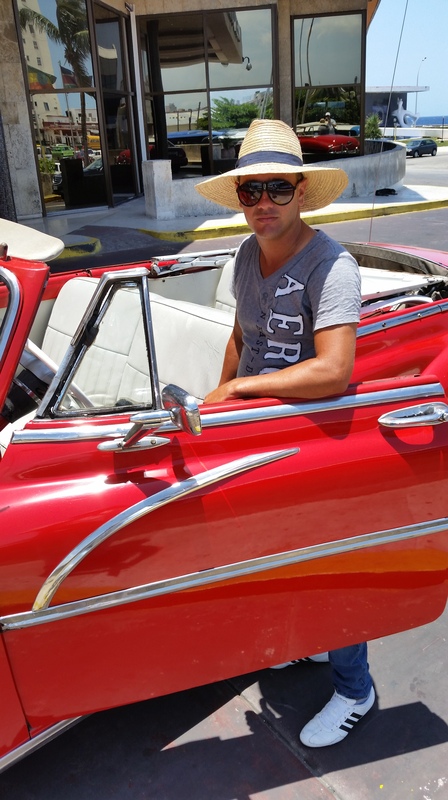 Plus, it was a convertible in Havana’s relentless sun. As someone whose genetic background is primarily Finnish and English, I get a sunburn if I get too close to a 100-watt light bulb. But I shrugged and got in. The driver turned up some Cuban son on the radio, and off we went. And it became a highlight of the trip. Heading out along Havana’s famous malecón, the boardwalk that runs along the city’s north shore. I can’t even pretend to be a car guy, but even I was in awe of that machine (if anyone can recognize the make and model from the photos, let me know). It wasn’t a Disneyfied, artificial replica… this thing was a 60-year old classic frozen in time. 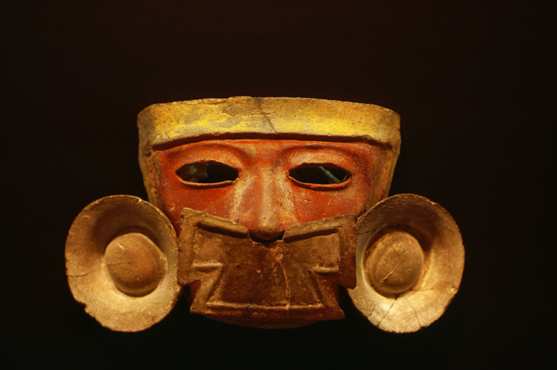 The only nod to modernity was the radio. The chrome detailing, the leather seats… everything else was lovingly preserved. But neither was it a museum piece; this bad boy was made for the road. 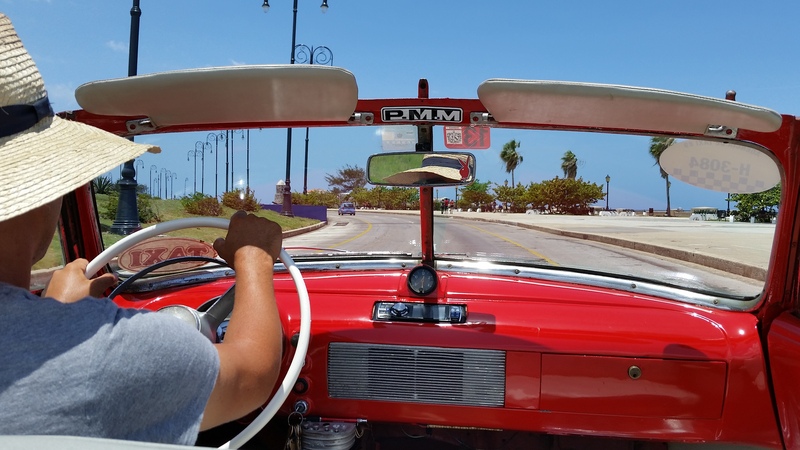 I realized something else as we cruised down the malecón—riding in this car with the top down totally changed my perspective of Havana. 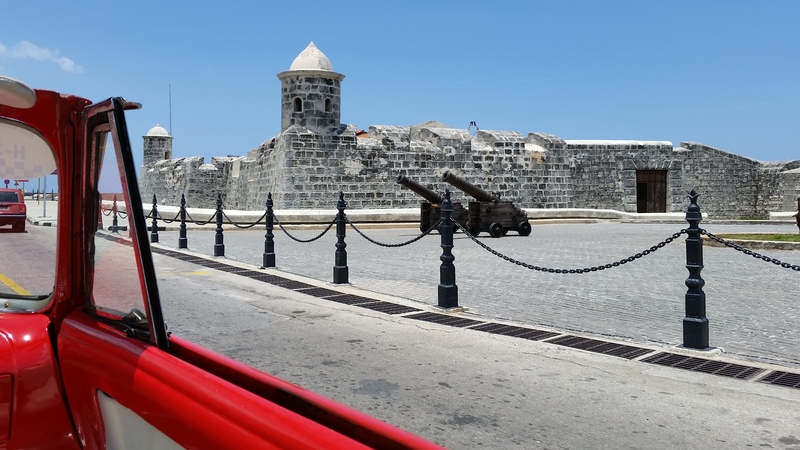 Cruising by the Castillo de San Salvador de la Punta, which guards the harbor’s entrance. By and large, we had done all our traveling via big tourist bus. I have no complaints, but doing so did alter our perceptions of the city around us. For one, the tinted windows (necessary, given the relentless sunshine) muted the colors of the sea and the buildings. In open sunlight, suddenly they all “popped” into a cascade of turquoise, mint green, pink, and yellow. Also, being lower to the ground changed how I saw everything. In the bus, we were looking at everything from above, making us somewhat detached from the activity of the streets. At ground level, I was suddenly a part of everything, and much more connected. The city drifted by on a manageable, human scale. Following the curve of the malecón. And there was the whole ambiance. At one point, we crested a low rise… and I had a magical moment. There was the curve of the sea lying before us, with the noon-day sun shimmering on the water. A pair of gulls shot low in front of us before chasing out to the open water, turning and circling back. The breeze was thick with the slightly sharp, unmistakable scent of sea salt. As the radio pounded its rhythmic dance music, I closed my eyes, tilted my head back and said to myself this is Havana. While I had gotten into the car fretting about hitting my next deadline, I got out of the car a too-short 15 minutes later devastated that my ride was over so soon. The Hotel Nacional, former home of mobsters and gamblers, now just gorgeous. As I got out of the car, I was struck by something else, too. 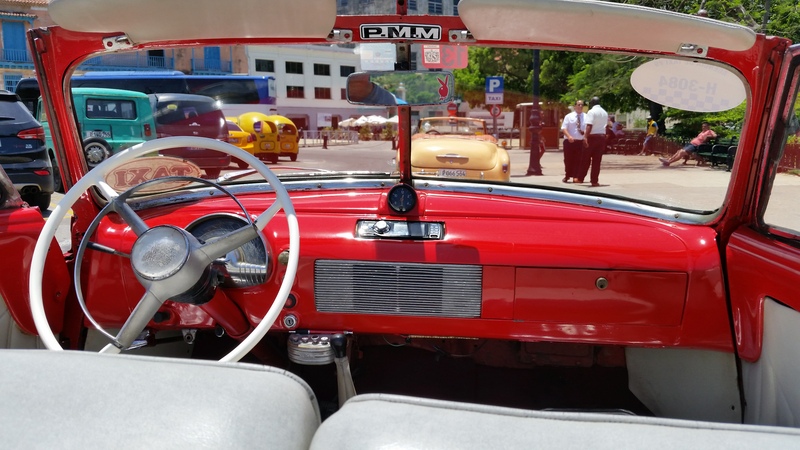 A ride in one of these classic cars is currently a must-do experience when visiting Havana. But I wonder what the future holds? Part of the reason these cars are so lovingly tended to is that for their owners, there is no other option—that’s the family car and they can’t get another one. But if circumstances change, I have to believe that the car owners would joyfully sell these collectables off in a heartbeat. They could rake in a huge profit, and buy themselves a much more practical (and reliable) model. Plus a new house. My driver strikes a bad-boy pose after dropping me off. Will these classic cars vanish? Will an enterprising company buy them up, refurbish them and keep them on the streets? Will people hold onto them as part of their family legacy? Time will tell. 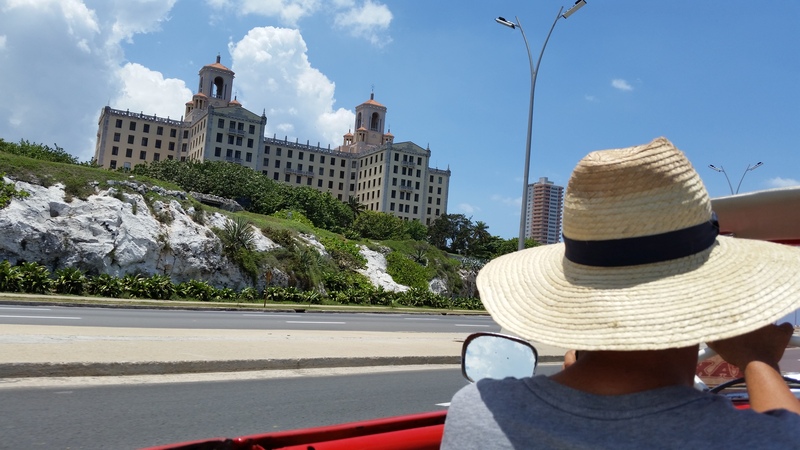 But in the meantime—if you can get to Havana, put a classic car ride on the top of your to-do list. It’s an unforgettable experience, and a perfect way to experience the city. Appears to be a 1950 Oldsmobile Rocket 88 Convertible. 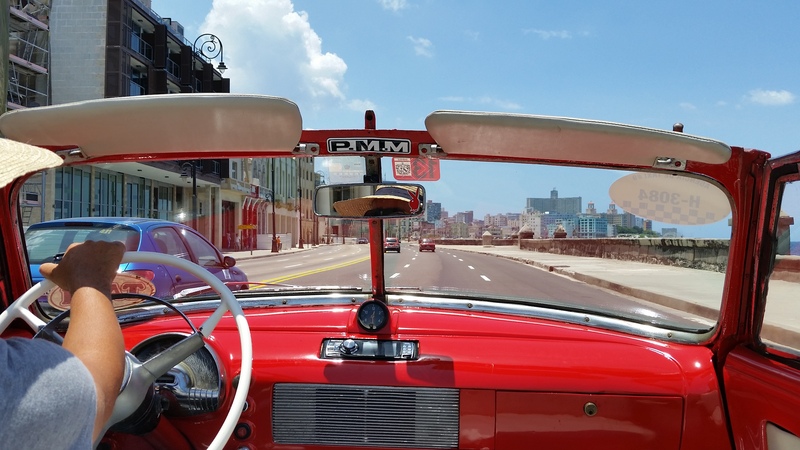 http://rmauctions.com/dd13/the-don-davis-collection/lots/1950-oldsmobile-88-deluxe-convertible/1058391 Enjoyed the reporting from Havana. That sounds great to me… thanks for the info!